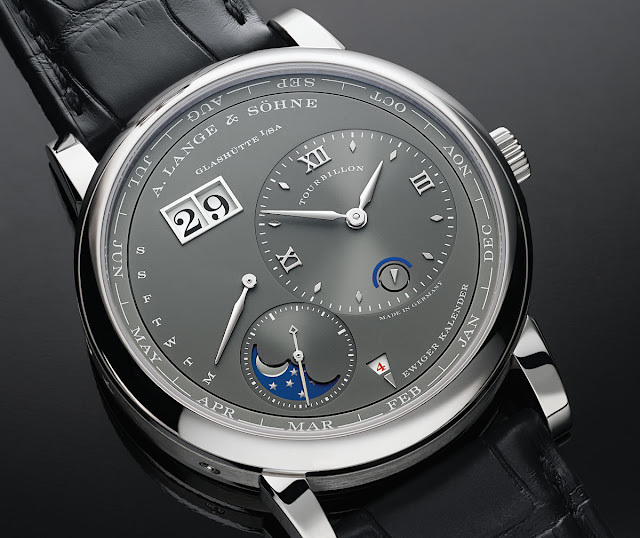 February the 29th is a perfect day to write about the Lange 1 Tourbillon Perpetual Calendar, presented by A. Lange & Söhne at SIHH 2016 in a new version with white gold case (41.9 mm x 12.2 mm) and solid silver grey dial. 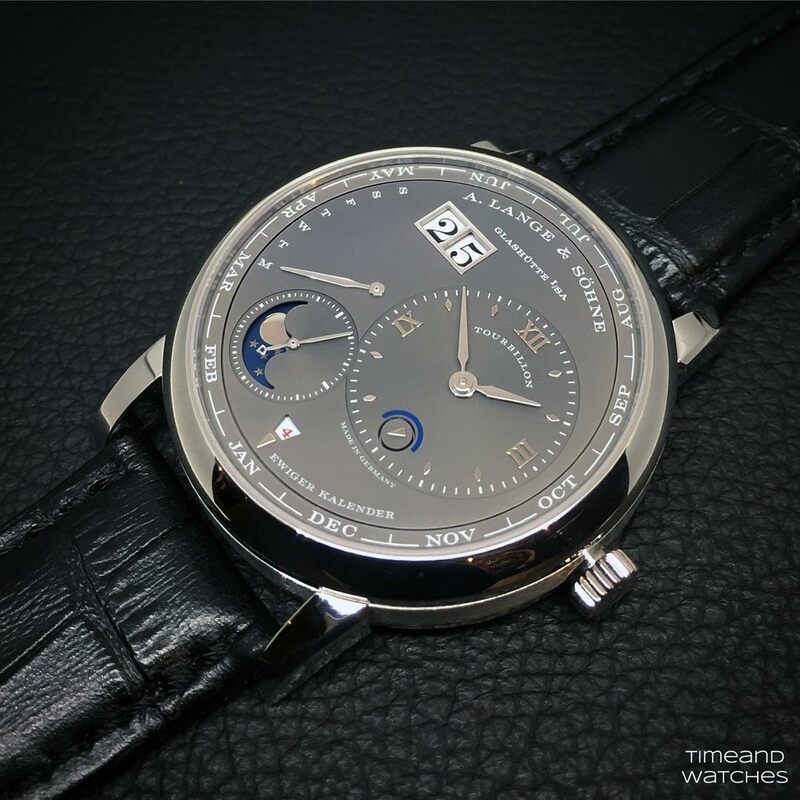 In this special day - added to our calendar every four years to compensate the fact that the earth does not orbit the sun precisely once every 365 days but instead it takes 365 days, 5 hours, 48 minutes and 45 seconds - perpetual calendars watches can fully demonstrate their capabilities. In fact, they must not only correctly transition from 28 to 29 February but then also jump directly to 1 March at the end of the day. In order to do so, the movement needs to be fitted with a mechanical system that maps the different durations of all 48 months across the entire four-year cycle. As a rule, this task is handled by a wheel with 48 teeth in which the durations each month during a four-year period are permanently stored in the form of gaps that have different depths. With the Lange 1 Tourbillon Perpetual Calendar, A. Lange & Söhne opted for a different approach. 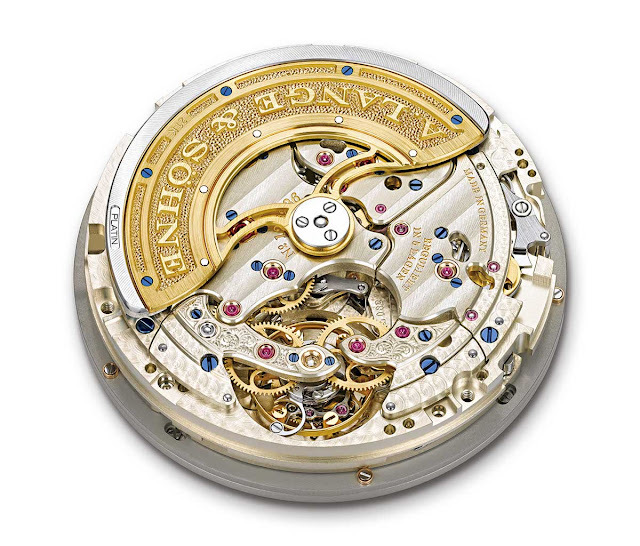 The Saxon watchmakers placed the month indication on a large circumferential ring that rotates about its centre axis once a year in twelve 30-degree steps. The display is endowed with recesses of different depths for the individual month durations as well as with a complex sampling mechanism that also takes leap years into account. 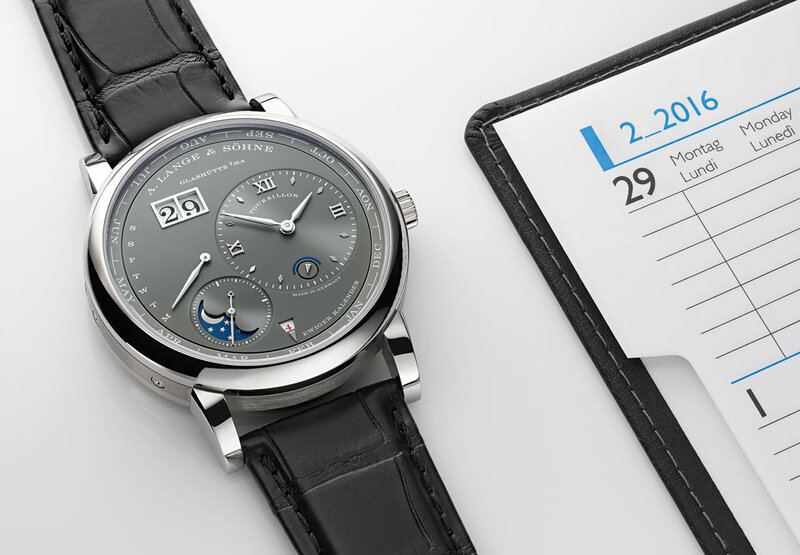 Additionally, all displays of the perpetual calendar switch forward instantaneously, so they deliver precise readings at all times. The force needed for the switching cycles is gradually built up during a period of 24 hours. For this reason, the switching process does not affect rate accuracy. The mechanism is designed such that a first one-day correction is not needed until the year 2100. Correction in 2100 is needed because the centennial rule of the Gregorian calendar omits the leap year and skips 29 February as an exception. This exceptional timepiece also features a tourbillon but only the inscription below the 12 o'clock hour marker refers to its existence. 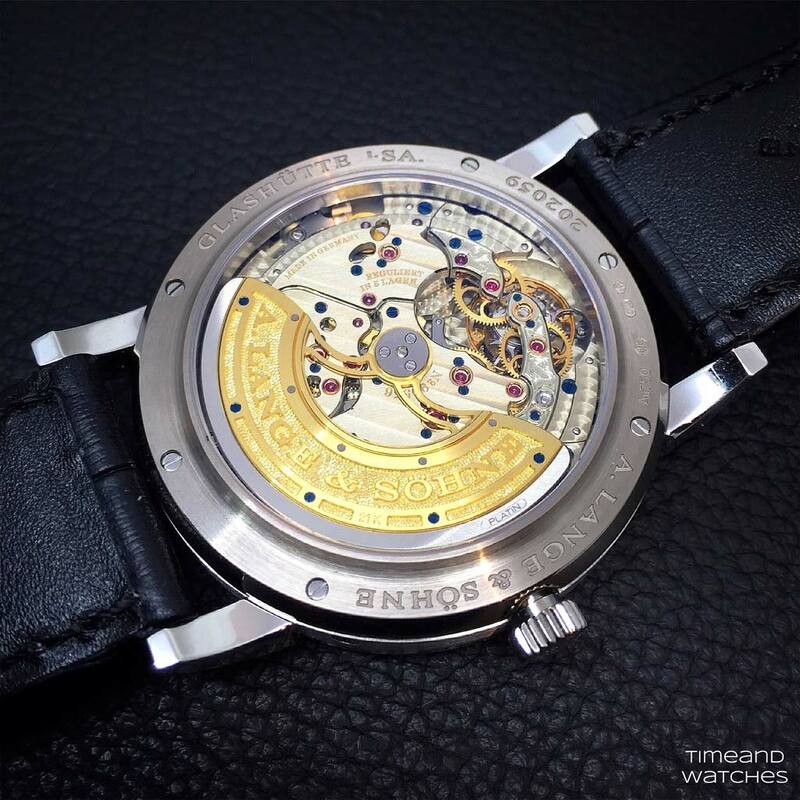 A pleasure for the eyes of the owner, the tourbillon is visible in its mesmerising beauty on the back. Its cage is decorated with black polish, one of the most appreciated (and complicated to realise) type of surface finishing. A solid 21-carat-gold central rotor with a platinum centrifugal mass on the periphery efficiently tensions the mainspring making it possible to build up the power reserve of 50 hours very quickly when the watch is worn. Beating at 21,600 vph, the self-winding manufacture calibre L082.1 is equipped with Lange's patented stop-seconds mechanism which gently stops the balance inside the tourbillon cage when the crown is pulled. SIHH 2016: A. Lange & Söhne - Lange 1 Tourbillon Perpetual Calendar. 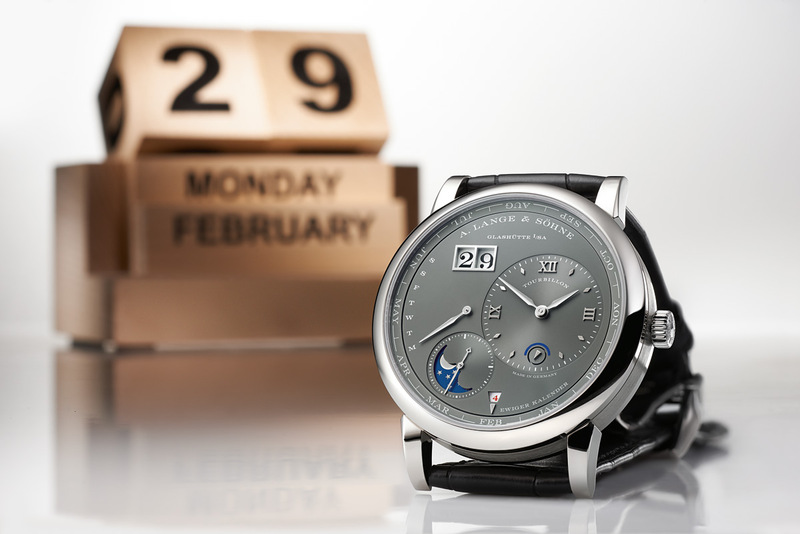 February the 29th is the perfect day to write about the Lange 1 Tourbillon Perpetual Calendar that A. Lange & Söhne presented in a new version with white gold case and solid silver grey dial during the Salon International de la Haute Horlogerie held last January in Geneva. 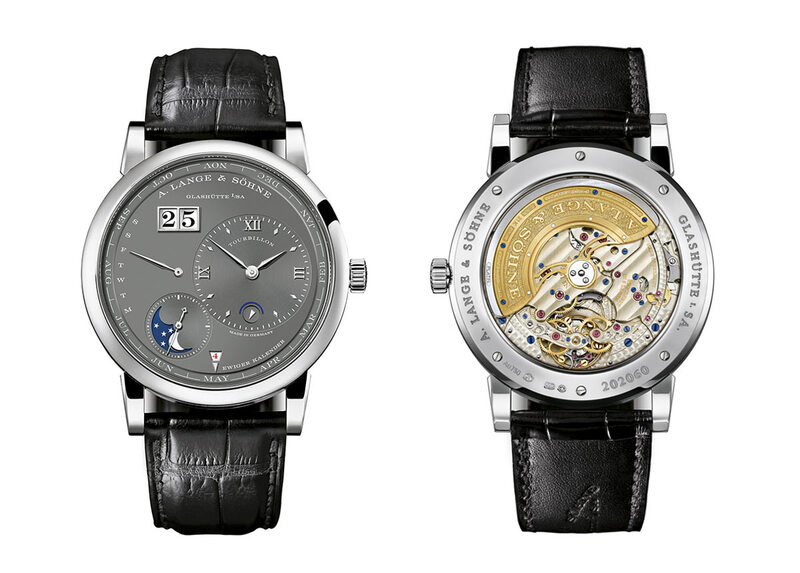 The A. Lange & Söhne Lange 1 Tourbillon Perpetual Calendar (ref. 720.038F) has a price of Euro 315,900.